Dimensions: 50L x 21W x 18H in.. Wood construction with metal accents. Alpine walnut finish. Open design offers ample space for display. Bold, linear, and perfectly contemporary, the Stanley Furniture Montreux Rectangular Cocktail Table offers modern style and practical display space. This cocktail table has an open design with a spacious top and three spaces below. Its alpine walnut finish works in a variety of settings.About Stanley FurnitureSince 1924, the goal of the Stanley Furniture Company has been to manufacture high quality furniture at a price the average American family could afford. 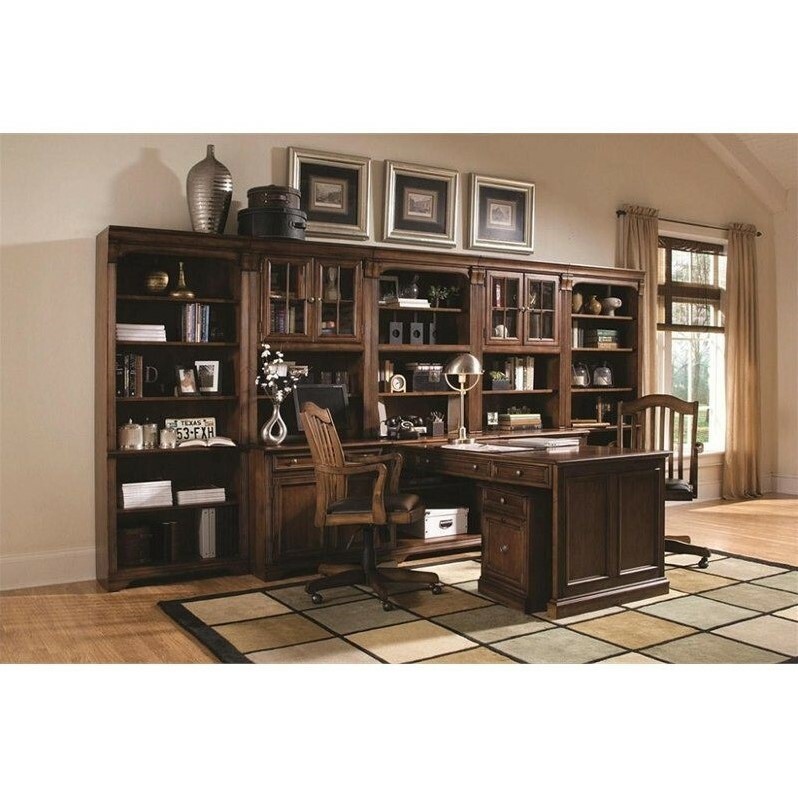 To accomplish this goal, founder Thomas Bahnson Stanley surrounded himself with the finest furniture craftsmen and instilled in them a sense of pride in building superb quality into every piece of Stanley Furniture. Today, that pride is shared by more than 1,750 dedicated associates who have made Stanley Furniture one of the largest, most respected furniture manufacturers in the nation.Stanley Furniture Craftsmanship Stanley Furniture’s main objective is to produce quality and stylish furniture by using the best wood materials, construction procedures, and elegant finishes on their products to help you fashion your home decor the way you imagined. All of their furniture is hand-crafted from quality woods, incorporating other superior materials such as aluminum, glass, plastic, leather, and marble. Every joint is carefully constructed (keeping wood’s sensitivity to heat and humidity in mind) allowing for expansion and contraction. All joints are held together with glue and nail.Stanley’s 30-step finishing process starts with an undertone stain that is applied to a hand-sanded piece. Next, the stain is sealed with a wash coat, then hand sanded again with filler applied to pack the wood pores and smooth out the surface. A sealer coat is then applied, the piece is hand sanded again, and hand padded to mellow the tone. From there, a luster glaze is rubbed on by hand, followed by antiquing or distressing also done by hand. Finally, after drying, each piece is hand waxed and rubbed prior to final inspection.